I have visited Greens Bush a few times recently. It is part of the Mornington Peninsula National Park. It is a good spot to visit between seasons as many bird species tend to migrate along the ridge lines heading North or South and I have a good chance of finding something interesting. On this occasion I was looking out for Owls and Nightjars. I think it would be a superb spot for Powerful Owls as the vegetation is right (deep shaded cool gullies) and there seems to be plenty of preferred prey (possums and I am sure some sugar-gliders). 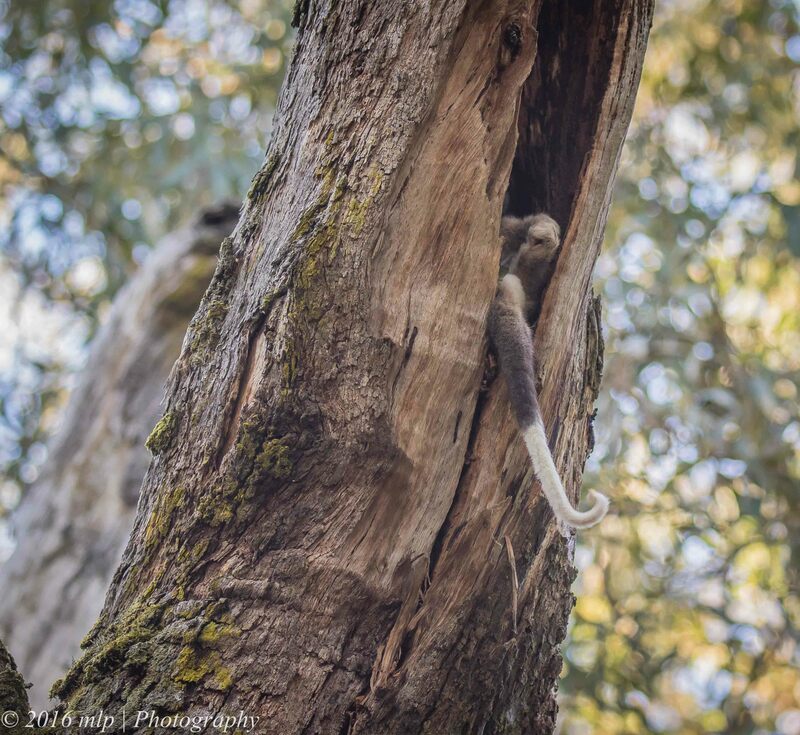 I saw many signs of Ring Tailed Possums including quite a few Dreys and even a tree that was packed with a colony with one hanging out…While walking along the track I flushed a Bassian Thrush. The Bassian has a similar habit as the Blackbird (but it a native and much more handsome). 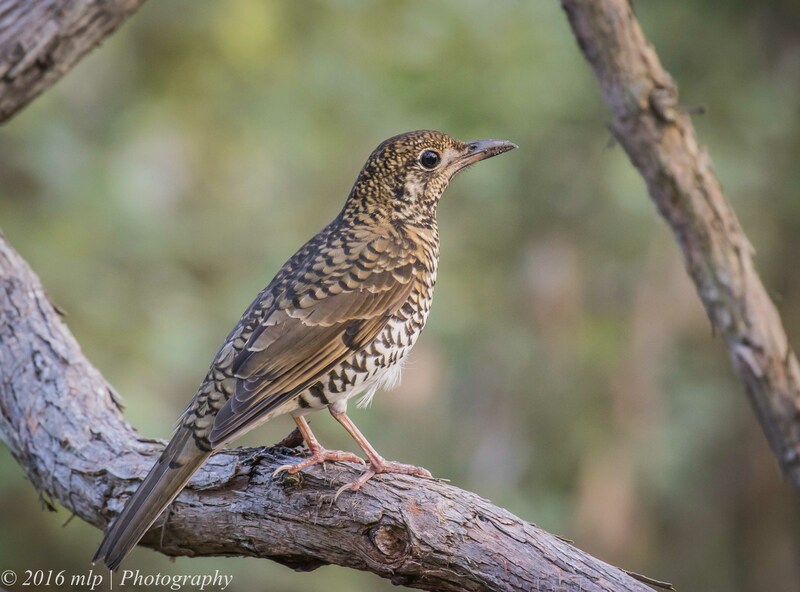 The Thrush skulks along paths and shoots off into the low scrub when scared. The one below kept just ahead of me and then flew to a low branch to watch me. 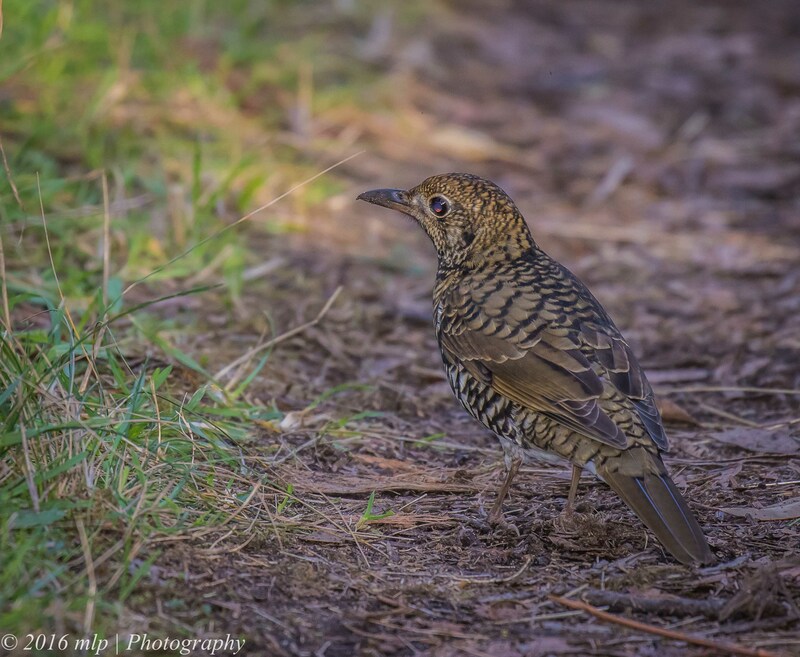 I think it was a young bird as usually they are quite wary and fast to disappear. 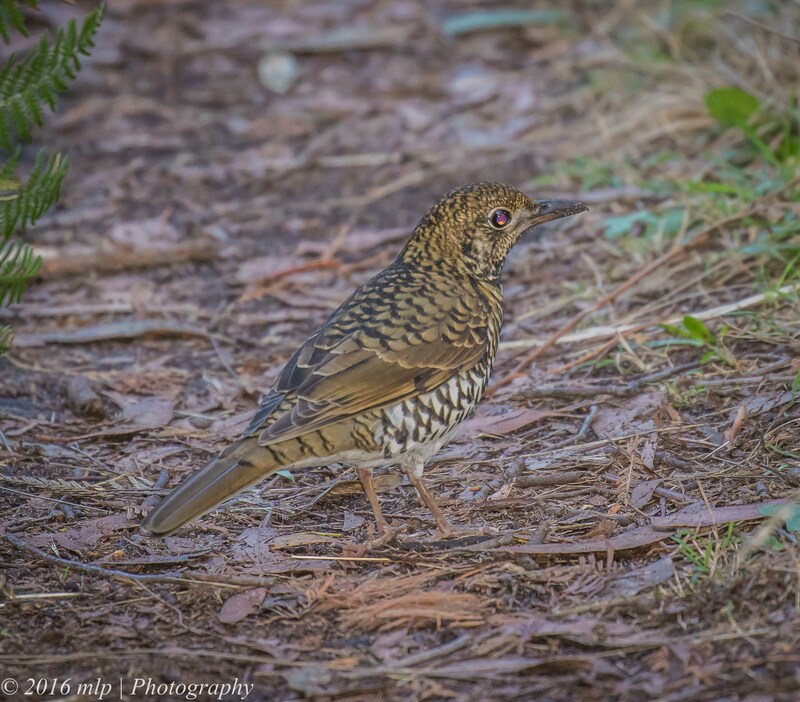 This entry was posted in Birds, Victoria and tagged Australia, Australian Birds, Bassian Thrush, Bird Photography, Greens Bush, Mornington Peninsula, National Park, Nature Photography, Ring Tailed Possum, Victoria. Bookmark the permalink.